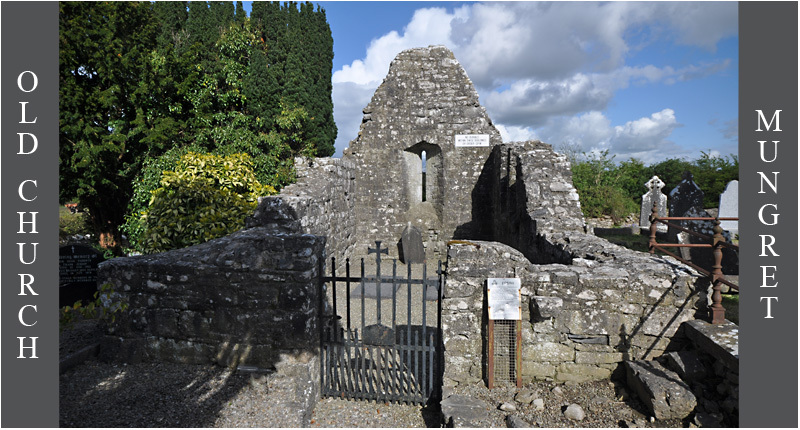 On the opposite side of the road to Mungret Abbey in Dromdarrig townland are the remains of a small church known as the Old Church. It is not known when the church was actually built. 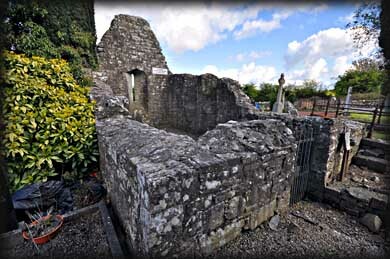 Like the larger church here at Mungret, it is probably pre-norman. Apart from the east gable that contains a single light window there is little of interest to see. The west wall is only about one metre high with a small gap where the doorway would have been. The north and south walls are also about a metre high at the west end rising to 1.5 metres high at the east gable. Situated: From Limerick take the N69 south. At the south circular junction take a left turn at the 2nd roundabout onto the R 510. Take a right turn at the 2nd roundabout, remaining on the R 510. Take a left at St Nessans church. Discovery Map 65: R 5431 5385. Last visit April 2012.